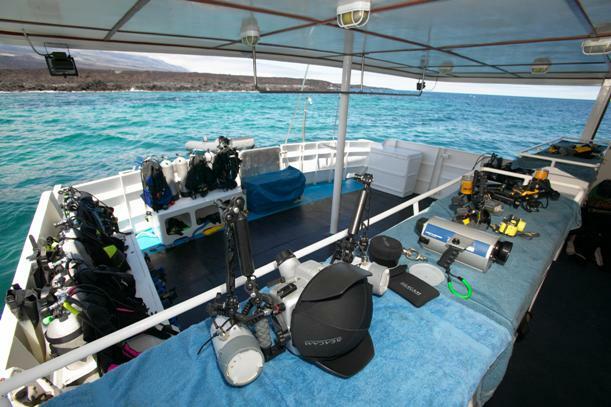 The diving in Galapagos is fantastic. The sheer abundance of life is amazing. 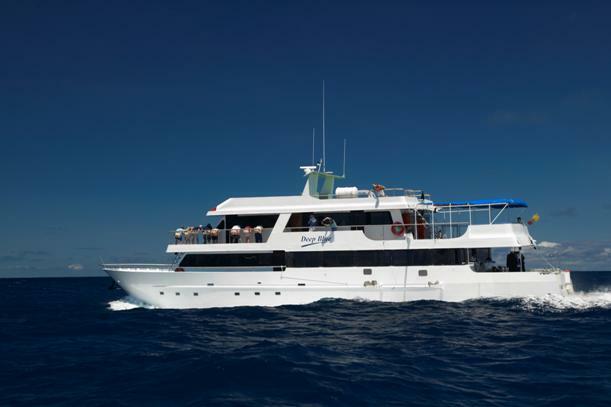 On most dives you will see several hundred large marine animals. On any given dive it is not uncommon to see sea lions, turtles, hammerhead sharks, white tip sharks, manta rays, Galapagos sharks, and huge schools of eagle and/or golden rays, sometimes numbering between 50 - 100 individuals. There is also the possibility of seeing whales, whale sharks, thousands of dolphins and large schools of hammerheads, sometimes numbering in the hundreds. Between dives you can snorkel with penguins or walk right up to a 400 pound tortoise.